MEXICO BEACH, Fla. -- Upon touring the damage in several towns along Florida's Panhandle, Federal Emergency Management Agency chief Brock Long called the destruction left by Hurricane Michael some of the worst he'd ever seen. On Monday, President Trump plans to visit Florida and Georgia and see the recovery effort for himself. Mr. Trump declared a state of emergency for Georgia late Sunday. In hurricane-flattened Mexico Beach, crews with backhoes and other heavy equipment scooped up splintered boards, broken glass, chunks of asphalt and other debris Sunday. Mayor Al Cathey held out hope for the 250 or so residents who may have tried to ride out the storm. He said search-and-rescue teams in the beach town had already combed areas with the worst damage. 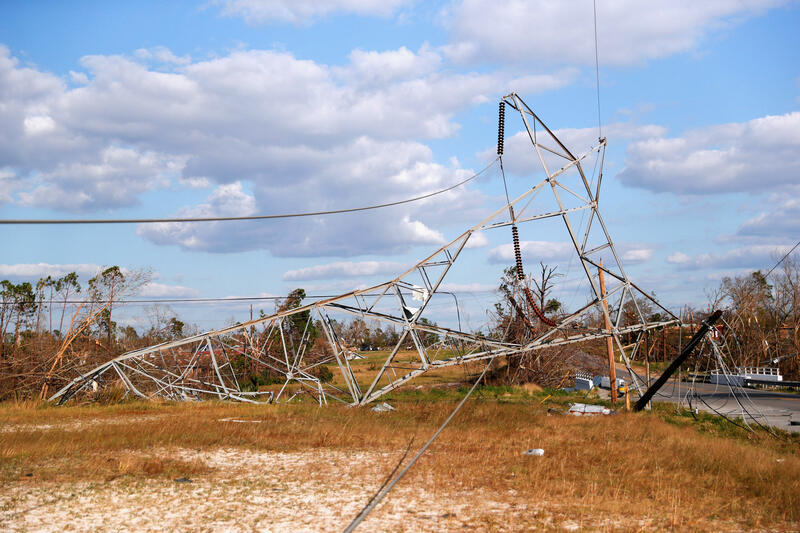 The death toll from Michael's destructive march from Florida to Virginia stood at 19, with just one confirmed death so far in this town of about 1,000 people that took a direct hit from the hurricane and its 155 mph winds last week. As of 5:30 a.m. Monday, some 224,000 homes and businesses were still without power in Florida, Georgia, Alabama, North and South Carolina and Virginia, according to a CBS News tally. Cathay said enough food and water had been brought in for the residents who remain. Even some cellphone service had returned to the devastated community. Joseph Zahralban, who's overseeing the search and recovery missions in Mexico Beach, said Sunday 79 people remained unaccounted for. "We are talking about poor people, many of them are older, miles from each other, isolated in many cases from roads, including some dirt roads that are cut off right now," Sen. Marco Rubio said on NBC News' "Meet The Press." ''We haven't been able to reach those people in a number of days." Several homes in the coastal town of Cape San Blas, Florida were pushed off their foundations by the strong storm surge. In a statement Sunday night, the Air Force said, "Not one Airman or family member was injured during Hurricane Michael." Of its aircraft, the statement said they all looked intact but maintenance professionals will do a detailed assessment of the F-22 Raptors and other aircraft before they say with certainty that damaged aircraft can be repaired and sent back into the skies.